ZeitMice Handmade, originally uploaded by Sid.Ceaser. My better half Sara just started her own Etsy shop. 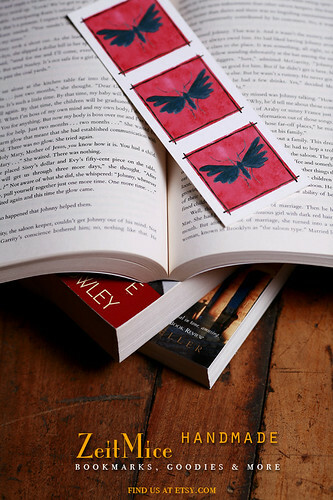 She is currently making very lovely bookmarks and then printing them on heavy stock archival papers.